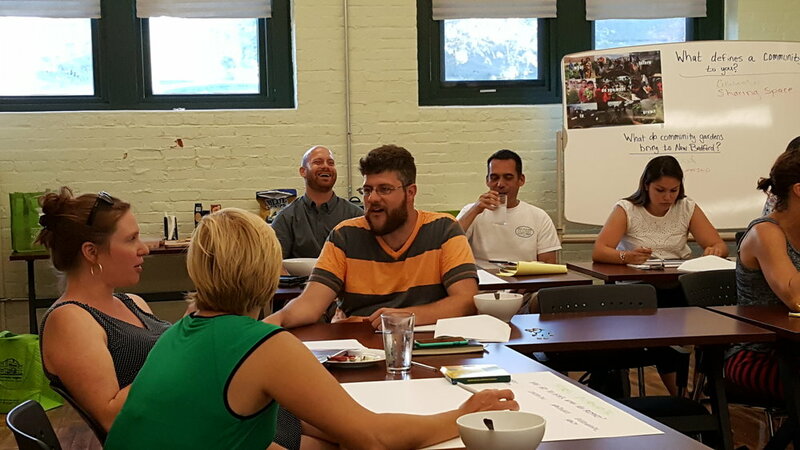 Growing New Bedford Community — Terra Cura Inc. The Growing New Bedford Community project is a community based design and planning effort focused on expanding the reach and impact of community gardens and urban agriculture within New Bedford, MA. The scope of project includes: outreach, research, education and community organizing through a collaborative planning and design process. This process strives to establish commitment from residents, organizational partners and the City of New Bedford. The main goal of this project is to help stakeholders across the city to recognize and harness existing local resources, designing a source-to-distribution process for increased food security through an urban agriculture initiative. This creates “a situation in which all community residents can obtain a safe, culturally acceptable, nutritionally adequate diet through a sustainable food system that maximizes community self-reliance and social justice.” Through education, community organizing, research and design , we continue to advance this project with the Southeastern MA Food Security Network.